Leora Batnitzky is Ronald O. Perelman Professor of Jewish Studies and Professor and Chair of Religion at Princeton University. She is the author of three books: How Judaism Became a Religion: An Introduction to Modern Jewish Thought (Princeton, 2011), Leo Strauss and Emmanuel Levinas: Philosophy and the Politics of Revelation (Cambridge, 2006) and Idolatry and Representation: The Philosophy of Franz Rosenzweig Reconsidered (Princeton, 2000) as well as the co-editor of three volumes: The Book of Job: Aesthetics, Ethics, and Hermeneutics (with Ilana Pardes, De Gruyter, 2014), Jewish Legal Theories: Writings on State, Religion, and Morality (with Yonatan Brafman, Brandeis University Press, forthcoming) and Instituting Rights and Religion: Competing Supremacies (with Hanoch Dagan, Cambridge University Press, forthcoming). Julie E. Cooper is Senior Lecturer in the Political Science Department at Tel Aviv University. She is the author of Secular Powers: Humility in Modern Political Thought (Chicago, 2013). 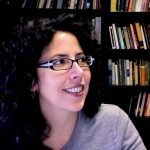 Her work has appeared or is forthcoming in journals including Review of Politics, The Historical Journal, Political Theory, Jewish Quarterly Review, Annual Review of Political Science, and the Journal of Politics. She has been awarded fellowships from the School of Social Science, Institute for Advanced Study and The Herbert D. Katz Center for Advanced Judaic Studies. She is currently working on a book project, tentatively entitled Politics Without Sovereignty? Exile, State, and Territory in Jewish Thought, which examines modern attempts to reimagine and rehabilitate Judaism’s national and political dimensions. Paul Franks is Professor of Philosophy, Jewish Philosophy, and Religious Studies at Yale University. His primary areas of research and specialization are Jewish philosophy, Immanuel Kant, German idealism, metaphysics, epistemology, the foundations of human sciences, and post-Kantian approaches within Analytic philosophy and Continental philosophy. He is the author of All or Nothing: Systematicity, Transcendental Arguments, and Skepticism in German Idealism (Harvard UP, 2005) and the editor of Franz Rosenzweig: Philosophical and Theological Writings (Hackett Publishing, 2000). Willi Goetschel is Professor of German and Philosophy at the University of Toronto. He is the author of The Discipline of Philosophy and the Invention of Modern Jewish Thought (New York: Fordham University Press, 2012), Spinoza’s Modernity: Mendelssohn, Lessing, and Heine (Madison: University of Wisconsin Press, 2004) and Constituting Critique: Kant’s Writing as Critical Praxis, published in the series Post-Contemporary Interventions, transl. by Eric Schwab (Durham, NC: Duke University Press, 1994). He has published in boundary 2, Lessing Yearbook, New German Critique, Uwe Johnson Jahrbuch, Weimarer Beitärge, Telos, and in numerous scholarly anthologies. He is the editor of the collected works by Hermann Levin Goldschmidt in nine volumes (Vienna: Passagen, 1993-2014), the executive editor of The Germanic Review and the general editor of Bamidbar: Journal for Jewish Thought and Philosophy. He is currently finishing a book on Heinrich Heine and Critical Theory. Michah Gottlieb is Associate Professor of Hebrew and Judaic Studies at NYU. 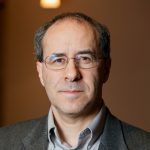 He is author of Faith and Freedom: Moses Mendelssohn’s Theological-Political Thought (Oxford University Press, 2011) and Faith, Reason, Politics: Essays on the History of Jewish Thought (Academic Studies Press, 2012). His new book Jewish Protestantism: Translation and the Turn to the Bible in German Judaism will be published by Oxford University Press. 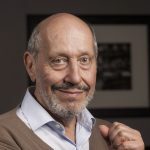 Jonathan Israel is an emeritus professor at the Institute for Advanced Study, in Princeton. His work is concerned with European and European colonial history from the Renaissance to the eighteenth century. His recent work focuses on the impact of radical thought (especially Spinoza, Bayle, Diderot, and the eighteenth-century French materialists) on the Enlightenment and on the emergence of modern ideas of democracy, equality, toleration, freedom of the press, and individual freedom. His books include European Jewry in the Age of Mercantilism, 1550–1750 (1985); The Dutch Republic: Its Rise, Greatness, and Fall, 1477–1806 (1995); Radical Enlightenment: Philosophy and the Making of Modernity, 1650–1750 (2001); Enlightenment Contested: Philosophy, Modernity, and the Emancipation of Man 1670–1752 (2006); and A Revolution of the Mind: Radical Enlightenment and the Intellectual Origins of Modern Democracy (2009). Julie R. Klein is Associate Professor of Philosophy at Villanova University. Her research takes up the project of thinking outside dualist and individualist models of human nature. She is particularly interested in the relationship of thought and affect. She writes mainly about early modern authors, especially Spinoza, and medieval Jewish philosophy. Her other interests include critical theory, psychoanalysis, and feminist theory. 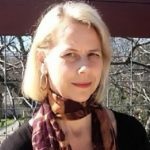 Tracie Matysik is associate professor in modern European intellectual history at the University of Texas at Austin. She is the author of Reforming the Moral Subject: Ethics and Sexuality in Central Europe, 1890-1930 (Cornell University Press, 2009), and is co-editor of German Modernities from Wilhelm to Weimar: A Contest of Futures (Bloomsbury Press, 2016). At present she is working on a book manuscript provisionally entitled When Spinoza Met Marx: Experiments in Democratic Activity, 1830-2000. In addition, she has written articles on the histories of psychoanalysis, secularism, subjectivity, international activism, and Spinozism. In 2016 she became co-editor of the journal Modern Intellectual History. Yitzhak Y. Melamed is the Charlotte Bloomberg Professor of Philosophy at Johns Hopkins University. He works on Early Modern Philosophy, German Idealism, Medieval Philosophy, and some issues in contemporary metaphysics (time, mereology, and trope theory), and is the author of Spinoza’s Metaphysics: Substance and Thought (Oxford University Press, 2013). Michael L. Morgan is the Chancellor’s Professor of Philosophy and Jewish Studies (emeritus) at Indiana University, where he has taught since 1975. In the fall of 2015, for three years, he became the Senator Jerahmiel S. and Carole S. Grafstein Chair in Jewish Philosophy at the University of Toronto. He is an Honorary Professor of the Australian Catholic University and has taught at Northwestern, Yale, Stanford, Toronto, and Princeton. 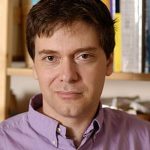 He is the author and editor of nineteen books, including Platonic Piety: Philosophy and Ritual in Fourth Century Athens (1990), Beyond Auschwitz (Oxford, 2001), Interim Judaism (2001), Discovering Levinas (Cambridge, 2007), the Cambridge Introduction to Emmanuel Levinas (2011), and Fackenheim’s Jewish Philosophy (University of Toronto Press, 2013). Together with Paul Franks, he translated and edited Franz Rosenzweig: Philosophical and Theological Writings (2001); he co-edited, with Peter Eli Gordon, The Cambridge Companion to Modern Jewish Philosophy (2007). He and Steve Weitzman have edited Rethinking the Messianic Idea in Judaism: Historical, Philosophical, and Literary Perspectives, which appeared in 2014. He is currently working on a book on modern Jewish philosophy with Paul Franks, and two books on Emmanuel Levinas, one for the Routledge Philosophers series and the other The Oxford Handbook on Emmanuel Levinas for Oxford University Press. His newest book, Levinas’s Ethical Politics, was published by Indiana University Press in May of this year. 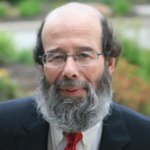 Steven Nadler is the William H. Hay II Professor of Philosophy and Evjue-Bascom Professor in Humanities at the University of Wisconsin-Madison. A Pulitzer Prize finalist, his most recent books include A Book Forged in Hell: Spinoza’s Scandalous Treatise and the Birth of the Secular Age (Princeton, 2011), and The Philosopher, the Priest and the Painter: A Portrait of Descartes (Princeton, 2013). 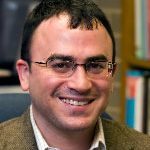 Benjamin Pollock is Sol Rosenbloom Chair in Jewish Philosophy and Associate Professor of Jewish Thought at the Hebrew University of Jerusalem. He is the author of Franz Rosenzweig and the Systematic Task of Philosophy (Cambridge, 2009), winner of the Salo Baron Prize and the Jordan Schnitzer Award, and of Franz Rosenzweig’s Conversions: World Denial and World Redemption (Indiana University Press, 2014). Michael A. Rosenthal is Professor of Philosophy and the Samuel and Althea Stroum Chair in Jewish Studies at the University of Washington, in Seattle. He is the co-editor of Spinoza’s Theological-Political Treatise: A Critical Guide (2010) and the author of numerous articles on modern philosophy, which have appeared in journals such as the Archiv für Geschichte der Philosophie, the Journal of the History of Philosophy, New German Critique, and the Journal of Political Philosophy. He is currently working on a book on Spinoza’s Theological Political Treatise. 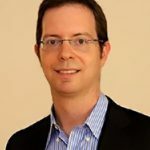 Daniel Schwartz specializes in modern Jewish and European intellectual and cultural history. His first book, The First Modern Jew: Spinoza and the History of an Image, traces the shifting image of the seventeenth-century Dutch Jewish philosopher Baruch Spinoza in modern Jewish culture. It was co-winner of the 2012 American Academy for Jewish Research’s Salo Wittmayer Baron Prize, and a finalist for the 2012 National Jewish Book Award in History. 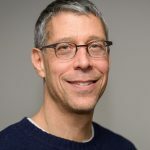 Professor Schwartz is currently working on a new research project, a genealogy of the ghetto that traces its evolution as a word, concept, metaphor, and place in both Jewish history and beyond Jewish contexts as such. His research interests include Jewish historical consciousness, early modern and modern Jewish identities, and Jewish intellectuals. Abraham Socher is professor of Religion and director of Jewish Studies at Oberlin College. He is the author of The Radical Enlightenment of Solomon Maimon (Stanford, 2006) and the founding editor of the Jewish Review of Books.